The Anatolian Shepherd is a noble breed which is both an excellent companion and a guardian of livestock. People have been using many names for this breed during time, such as Karabash, Coban Kopegi, Karabas, Turkish Shepherd Dog and Turkish Livestock Guard Dog. Due to this dog’s strong will and demanding nature, the owner also needs to have a strong personality and show this quite often, in order for the Anatolian Shepherd to understand that he is the leader and thus making this relationship manageable. 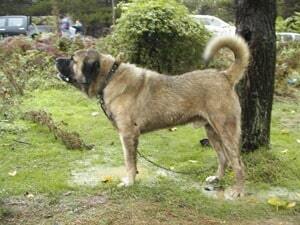 Basically the Anatolian Shepherd needs to be brought to the point in which he sees his master as the true alpha dog. Also, in addition to this, intensive obedience training needs to be carried out even from the early age of the dog, along with a high level of socialization. 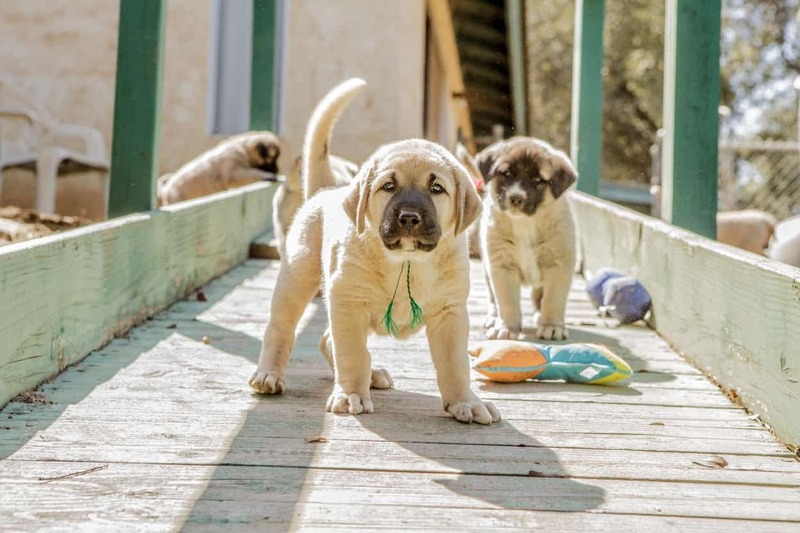 Proper training and consistent socialization are key factors for managing the stubbornness of the Anatolian Shepherd and keep his instincts to dominate at bay. These element need to be combined with love and positive reinforcement techniques, as these have proven to work best. This is also the best chance of getting this dog get along well with other house pets, as his instincts to dominate are pretty strong. Weary of strangers, they will manifest with reserve in public and approaching an Anatolian Shepherd without proper introduction may turn out to be a mistake. It is within this dog’s nature to have a propensity to guard. They are very fond of and also protective towards their properties. The ideal place to live for the Anatolian Shepherd is one that provides a large but fenced yard that allows this large dog to play and exercise, not a small place such as an apartment. Mind the fact that this dog is a digger and also a barker, especially at night, so it’s important to consider these in advance of actually getting one. It is known that this breed gets along very well with children, but given his large size and strong instincts it is highly recommended that children are not to be left unsupervised in its presence. The Anatolian Shepherd proves to be driven by an unusually strong devotion towards the family and is generally calm and relaxed, especially if there is nothing to bring forth his instincts. Despite the name, this dog is used as a guardian of the flocks rather than for herding. As adults, the Anatolian Shepherds reach impressive weight of up to 65 kilos and no less than 30. The colors of the coat can be any from white, brindle, cream and pinto. Often these dogs have dark brown marks near the eyes and triangular shaped ears and short muzzle have the same color. The eyes are gold or brown and betray a certain aura of intelligence. The origins of the Anatolian Shepherd lay far in Turkey and there always has been a debate around the name of this breed. Some consider that this dog resulted from the mixing of three distinct breeds, the Akbash, the Kars and the Kangal, while others came with the idea that the three names are only regional terms for the same breed, which only varied in color. The term ‘Anatolian’ points to a Turkish plateau bearing this name and since the English speakers had difficulties in pronouncing the Turkish names, they used this general term. In that region originate many other Turkish shepherds. The food of this dog needs not to have a high level of proteins and lamb and rice are excellent choices. Grooming isn’t very complicated for this breed, but brushing is recommended as the shedding is often consistent. From a health point of view, this breed is exposed to some conditions such as hypothyroidism, hip dysplasia (although the exposure of the Anatolian Shepherd is lower than other breeds similar in size) and eyelid entropion. These dogs are known to have certain sensitivity to anesthesia. As their immune system develops slower as compared to others, the Anatolian Shepherd puppies should get some extra vaccines.